Welcome to Milton Hyundai, your Signature Certified Hyundai dealership in Milton, Ontario. 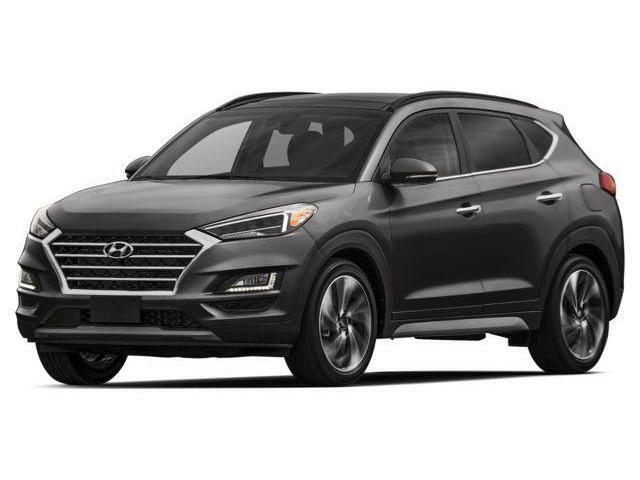 We are presenting the new 2016 Hyundai Tucson. You can find all the relevant information below. Enjoy! Whether you are running errands around the city, or planning a getaway out of town, the 2017 Tucson is more than just a mode of transportation; it’s your sidekick to living life. The compact size helps make parking in tight spaces effortless, the spacious interior can hold up to 1,752L of your cargo and the two available engines offer exceptional fuel efficiency. More than just a stunning design, it’s filled with what you’re looking for on the inside too, from available safety features like Autonomous Emergency Braking to advanced tech to provide ultimate convenience like standard Bluetooth® and available Android AutoTM and Apple CarPlayTM. With styling led by our Frankfurt, Germany design centre, the European origins of the 2017 Tucson are evident in its aggressive, stable stance. The prominent hexagonal front grille and stylishly efficient lighting technologies such as the available HID headlights with an Adaptive Cornering System or LED headlights are presented below the sculpted hood lines. The wide stance is embraced by athletic side character lines and available 19” alloy wheels, which are framed by bold wheel arches. Catch the rays or shooting stars with the available panoramic sunroof that spans above both front and rear passengers. Bold 19” alloy wheels with an asymmetrical spoke design enhance the overall athletic stance of the 2017 Tucson. Every 2017 Tucson is equipped with standard projection headlights with LED accents and LED Daytime Running Lights for added visibility. Full LED headlights offer optimum lighting strength on 1.6T Limited models, while 1.6T Ultimate models feature HID headlights with an Adaptive Cornering System that enables the headlights to swivel along the bends and curves in your path (available LED headlights shown). Not only stylish, the available three-dimensional LED tail lights also increase nighttime visibility. Side-mirrors on the 2017 Tucson are body colour, power-adjustable and heated to defrost quickly in cold weather. Available turn signal indicators integrate into the side mirrors for an added sleek and stylish look. Help ease reverse driving with the available Rear Parking Assist Sensors. Audible alerts, with increasing frequency, are used to notify the driver of objects behind them. The cabin of the 2017 Tucson was designed to provide you with seamless convenience to the world around you. Enjoy hassle-free connectivity with the standard Bluetooth® hands-free phone system and available Android AutoTM◊ and Apple CarPlayTM∆ technology to effortlessly integrate select apps from your phone onto the available 8.0” touch-screen navigation system. The tech-filled interior is also extremely spacious, offering a generous 877 litres of cargo capacity – and that’s with all the seats upright! For even more cargo versatility, the rear seats can fold flat, allowing for a total of 1,752 litres of storage capacity or split-fold 60/40 to accommodate passenger seating and longer items when needed. A standard 5.0” color touch-screen audio system lets you stream music from your smartphone, talk to family and friends with the Bluetooth® hands-free phone system and tackle tight parking spaces with the rearview camera. Help avoid wrong turns with concise maps and directions thanks to an available touch-screen navigation system with rearview camera. These available features put the power of your favourite smartphone apps right on your Tucson’s 8.0” touch-screen. You can get directions, make calls, send and receive text messages and listen to music all in a way that lets you stay focused on the road. All the controls you need are mounted right within reach. Control your audio stations and volume levels, speed with cruise control, and Bluetooth®hands-free phone system with just the press of a button on the steering wheel. An available heated steering wheel adds an extra level of comfort. The available electroluminescent supervision cluster includes a large 4.2” TFT display with bright LED lighting. Your rear seat passengers will thank you for the luxury of available rear air conditioning vents and available heated rear seats. Available premium aluminum door scuff plates, a leather-wrapped instrument panel and driver’s console panel add to the modern interior styling of the 2017 Tucson. The available Infinity® audio system includes an external amplifier and 8 speakers strategically placed inside the cabin to provide equal listening pleasure – offering an immersive, surround sound experience for all occupants. Optimize your comfort for every season. Standard 3-stage heated front seats have been included for comfort during those colder months, and when it starts to heat up during spring and summer, you can enjoy the available ventilated front seats. Add the available 8-way power driver seat with 2-way power lumbar support into the mix, and you have driver comfort all year long. Standard on all models with cloth seating is a YES Essentials® seat fabric treatment that provides soil-resistant, anti-odor and anti-static properties for added longevity. The 2017 Tucson offers exceptional storage versatility. Rear seats can fold completely flat and split-fold 60/40 to meet your cargo needs. A total storage capacity of 877 litres with all seats positioned up right, and 1,752 litres with rear seats folded down provides ample room to pack up for day trips around the city. Those who seek high levels of driving efficiency will immediately love the available engine options in the 2017 Tucson. Choose between the standard 164 horsepower 2.0L Gasoline Direct Injection (GDI) engine, or the 1.6L Turbocharged GDI engine. It delivers a powerful 175 horsepower, 195 lb-ft of torque and is mated to a 7-speed Dual Clutch Transmission for optimal performance. 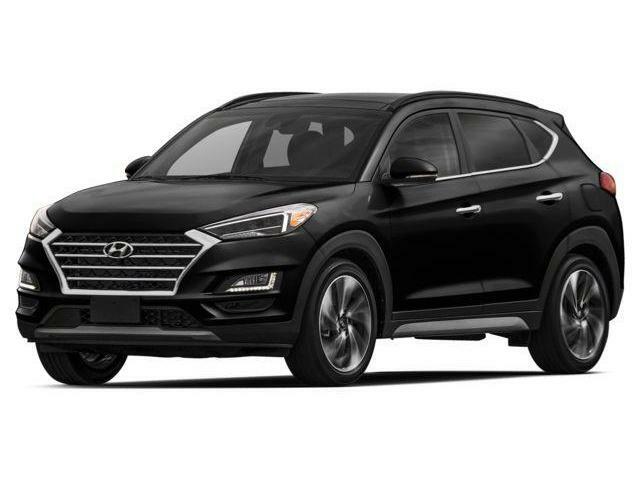 With the innovative Drive Mode Select system to choose between different steering and throttle responses, and available All-Wheel Drive system, the Tucson makes it easy to take off for a road trip, or to tackle those errands around town with ease. The advanced engineering is matched by the confidence of an extensive list of safety innovations. The 2017 Tucson’s available safety features turn technology into tools that help give you added awareness, control and peace of mind.